A new job warrants a move. The Sellers are sad to leave their lovely home which features all new low-e, double hung vinyl windows throughout, an amazing energy saver! The main level offers Formal Living & Dining Rooms, an office, half bath, spacious renovated kitchen and Family Room offering a cozy fireplace with new gas logs. Just off the Family Room is access to the garage which is flanked by the laundry room and mud room! Upstairs you'll find the owner's suite with renovated bathroom and two closets, 2 additional bedrooms a full bathroom and awesome Bonus Room. Outside you'll find a grilling deck, lush green grass and a veggie garden area. Don't miss your opportunity to call this beautiful home yours. High Ridge is a subdivision within the city of Athens, Georgia. There are currently 7 Homes for Sale within High Ridge, with asking prices ranging from $336,400 to $399,900. The average list price per square foot of the available inventory in High Ridge is $106, which is below the Athens average of $227. The Average Sales price of all sold real estate in this subdivision for the past year is $302,775. Recent comparable homes have been selling for 96.25% of their asking price. Waterfront homes represent 0.00% of the available High Ridge inventory. The population of Athens, according to the 2010 Census, is 115,452. The total number of households in the zip code of High Ridge is 16,955, with an average household size for of 2.33 people. The total number of renter households within the zip code of 30606 is 9,063, which means that 46.55% of households in this zipcode are owner occupant households. 150 High Ridge Drive, Athens GA 30606 is a Home, with 3 bedrooms which is recently sold, it has 2,753 sqft, .51-1 sized lot, and Attached,Garage parking. A comparable Home, has 4 bedrooms and 2 baths, it was built in and is located at 125 Pine Tops Drive Athens GA 30606 and for sale by its owner at $ 336,400. 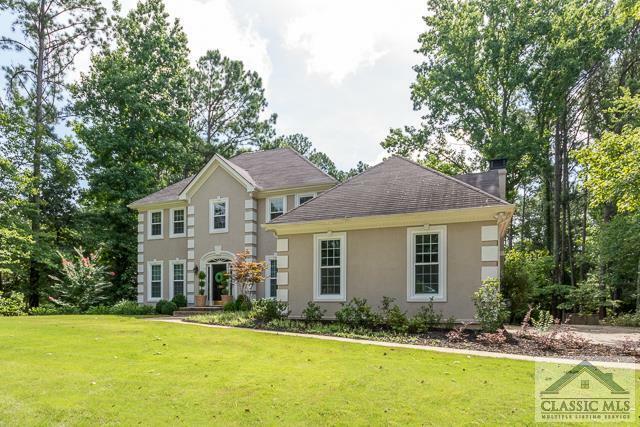 This home is located in the city of Athens , in zip code 30606, this Clarke County Home, it is in the High Ridge Subdivision, and Bedgood Glenwood are nearby neighborhoods.